At Park Academy Childcare we facilitate learning through an emergent pre-school curriculum, that is child led & play based. Our educational ethos is based upon current worldwide research on early learning, which shows that children learn best through play & self-directed learning. This new research builds upon previous educational models, such as the Montessori method of pre-school education, which emphasized the importance of child centred learning environments. While previous pre-school educational approaches were based mainly around the introduction of academic learning – for instance directly teaching 123s & ABCs – this new approach is focused on developing important pre-academic skills, in core areas such as reading, writing & mathematics. This creates a solid foundation for future education, equipping children with life-long learning skills. No child learns in exactly the same way. That’s why they need the opportunity to realise their own unique learning style and to discover the joy that learning can bring. This is an understanding that we hold firmly and that is perfectly reflected in our dedicated ‘child-led’ approach. Park Academy Childcare’s O.W.L curriculum (which stands for Our World of Learning) has been developed by our experienced Education Coordinator Sarah, who has been part of our team for many years. Sarah is passionate about creating the best possible learning environment for our children and she works closely with the rest of our talented Care & Education Team, to ensure that Park Academy Childcare are consistently setting the standard for early years education in Ireland. All experienced education experts, the team constantly strive to improve the quality of our programmes and to implement new and exciting educational initiatives in our crèches. It is this commitment that has placed us at the forefront of childcare in Ireland for the past twenty years. Our O.W.L curriculum is underpinned by the National Aistear Curriculum Framework for early years, which sets out specific aims and learning goals for pre-school education in Ireland. The word ‘Aistear’ means ‘journey’ in Irish, as the curriculum is designed to support children on their journey through early education. The curriculum is based on four key themes – Well Being, Exploring & Thinking, Identity & Belonging and Communicating – and these themes each contain four aims & twenty four learning goals that must be met within our crèche learning environments. At Park Academy Childcare, every child has their own personal Aistear book and this documents all of their activities and progress to date. This way parents can stay informed of their child’s learning and achievements at crèche. The Aistear books also act as a record for our childcare teams, so that they can monitor each child’s individual development. What is an Emergent, Child Led, Play Based Pre-school Curriculum? The emergent curriculum is at the heart of our modern, research led approach to pre-school education, as it provides a new and progressive framework for early years learning. Instead of delivering topic based lessons, our teams are guided the children’s emerging interests and innate attraction to certain topics and areas. Our Early Years Educators take the time to observe these emerging interests and to reflect on the children’s motivations, before planning for their learning. The children are also involved in this planning process, ensuring that they enjoy meaningful learning experiences. No child learns in exactly the same way. That’s why they all need the opportunity to follow their innate guidance, realise their own unique talents, discover their individual learning styles and experience the immense joy that learning can bring. This knowledge and experience creates a valuable foundation for future education, enabling children to become empowered and enthusiastic life-long learners. The Emergent Curriculum focuses on play that compliments the interests and needs of the children, so every aspect of their day is enjoyable and fun. Play is a powerful vehicle for children’s learning as it offers endless opportunities to explore, experiment and discover. There are many different forms of play we facilitate a wide range of different play based activities in our crèches, from imaginative and constructive play, to arts & crafts, water play and outdoor play. Play naturally develops the skills that children require for school such as physical strength and coordination (necessary for writing) and spatial awareness. It also provides an in-direct introduction to many academic concepts such as sorting, matching, measurement, density, classification, force, gravity and classification. Concrete experiences form the basis for abstract thinking, so lots of hands on exploration will aid a child’s understanding of these concepts later on. As a social activity, play is hugely important in the development of a child’s social and language skills and imaginative play is particularly important for the development of creativity. The ability to think creatively is essential for many areas, from creative writing and music, to mathematical problem solving and scientific innovation. A child who can think creatively will also learn to problem solve. For more information about the types of play that we facilitate click here. At Park Academy Childcare we create a rich learning environment that is attractive, interesting and stimulating for young children. 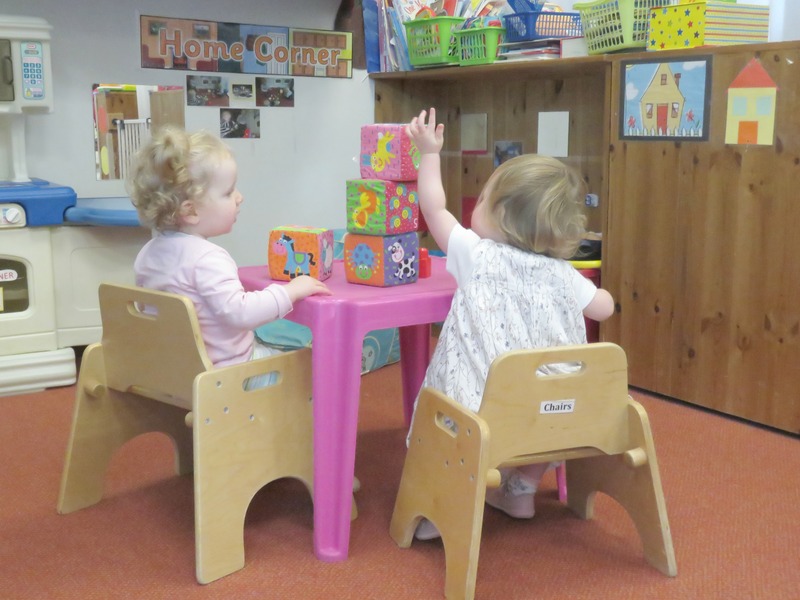 In addition to all of our play materials (such as water trays, sand pits & outdoor play equipment) our crèche’s rooms are also stocked with a large variety of colourful age appropriate books, musical instruments and creative materials such as playdoh. 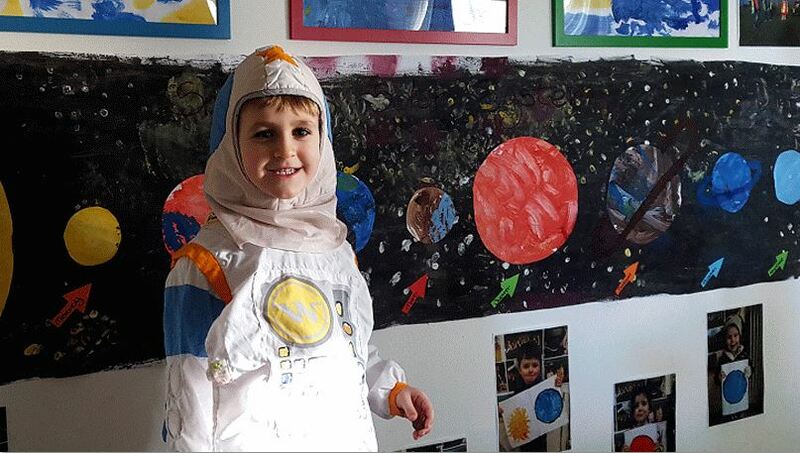 We believe in exposing the children to as many varied learning experiences as possible, so that they can develop the range of pre-academic skills that they require for school. This means that we welcome involvement from our children’s families, who we love to have in to share their interests, talents, cultures or life experiences. We are also proud to have our own fleet of Park Academy Childcare Adventure Buses, which take the children on weekly trips to fun, interesting & educational locations around South Dublin and Wicklow. Overall we are extremely passionate about ensuring that a child’s first exposure to a formal learning environment is a hugely positive experience. Our goal is that the children leave us with a strong love for learning, high self-belief, an appreciation of their own unique abilities and talents and a happy, independent, ‘can do’ attitude to life. We believe that by equipping children with these skills & dispositions, we are giving them the best possible start – not only to their school journey but also to life. But don’t just take our word for it! We strongly recommend that you view your chosen crèche centre so that you can meet our team and see for yourself the reason why were parent’s no.1 choice for childcare and education in South Dublin & Wicklow. The Irish Times ‘Lessons for parents of pre-school children’ > http://bit.ly/2cG2kMI.